GENEVA, Switzerland, November 14, 2013/African Press Organization (APO)/ -- People are suffering the effects of intercommunal violence over natural resources and land in Darfur, and of occasional fighting between government forces and armed opposition groups. So far this year, the ICRC has helped over a million people. "We've scaled up our emergency response because of rising violence in Darfur, where people face increased hardship," said Jean-Christophe Sandoz, head of the ICRC delegation in Sudan. "We've brought vital assistance to violence-affected areas." The ICRC and the Sudanese Red Crescent Society have been working hard to deliver relief rapidly. Intercommunal clashes in Jebel Amer, North Darfur state, caused thousands to flee in January and February. The two organizations jointly distributed 1,600 tonnes of food, blankets, jerrycans, tarpaulins, sleeping mats, clothes, buckets, soap and kitchen utensils to over 124,000 people, both the displaced and their host communities. As people wounded in Jebel Amer reached hospitals in Al Sireaf, Saraf Omra, Al Junaina and Al Fashir, the ICRC provided the hospitals with medical supplies. It also facilitated the evacuation by helicopter of 33 casualties from Al Sireaf to Al Fashir for treatment in the Ministry of Health hospital. The ICRC worked with the Sudanese Red Crescent to help people in the flood-stricken Nile Valley, where thousands were left homeless in August. The two organizations distributed household and shelter items to over 30,000 people in Khartoum and Blue Nile states, in the Dongola region, and in Mereo and Wadi Halfa in Northern state. An emergency water system for 5,800 people was set up in Al Gezera state, and 10 hand pumps were installed to supply drinking water for the population of Jebel Awliya, south of Khartoum. Darfur has seen not only increased violence but also a surge in crime. In August, unknown armed men seized eight ICRC staff in central Darfur. While they were all released within two weeks, their two trucks have still not been recovered. "Incidents like this have an effect on the humanitarian work we do for people who are suffering," said Mr Sandoz. "We are grateful to the government authorities, and the tribal and community leaders who helped bring about the release of our colleagues." While Darfur remained the focus of the ICRC's action, access to conflict-stricken areas of Blue Nile and South Kordofan states remains pending. "We have offered to carry out an impartial assessment of the needs in these areas, and to provide relief to the people most severely affected," said Mr Sandoz. "So far, however, we have not been granted access there". Despite the challenges, the ICRC has spared no effort to help people in Darfur and elsewhere in Sudan. Highlighted below is some of the work we did between January and September. •	trained 80 Red Crescent volunteers in first aid. •	With the onset of rains in July, around 460,000 people (mainly in and around the Jebel Marra area) received farming tools, plus groundnut, sorghum and vegetable seed. Another 16,575 families received farming tools only. •	Over 15,600 families received donkey ploughs. •	The ICRC distributed over 4,000 tonnes of food to help people cope with a food shortage and enable them to set aside seed for planting. •	trained 92 technicians in hand-pump maintenance, ensuring that communities would continue to have water. The ICRC supports seven health centres that serve 138,000 people in Central and South Darfur states. •	the ICRC sponsored the training of 44 midwifery students from villages in Darfur, to reduce deaths among mothers and children. Almost 5,000 people received prosthetic or orthotic devices, crutches or physiotherapy from six ICRC-supported physical rehabilitation centres, a mobile workshop run by the National Authority for Prosthetics and Orthotics, and the Khartoum Cheshire Home centre for the rehabilitation of disabled children. •	The ICRC and the State Ministries of Animal Resources and Fisheries vaccinated over 860,000 animals belonging to more than 17,000 (mainly nomadic) families in Darfur. •	A hundred animal-health workers received training in such skills as disease reporting and animal vaccination. Their services are expected to benefit more than 14,600 families. 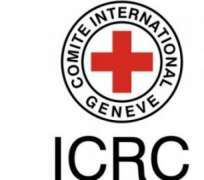 The ICRC is often called upon to serve as a neutral intermediary when government or armed opposition groups release soldiers or civilians. •	ICRC staff visited detainees held in Jebel Marra by the Sudan Liberation Army – Abdel Wahid faction. clarified the whereabouts of dozens of people reported by their families as missing or captured in connection with conflict, and received 437 new tracing requests. In addition, the ICRC and the Sudanese Red Crescent reunited a child found in South Sudan with his family in Sudan. The ICRC has been working in Sudan since 1978. In 2003, it extended its operations to Darfur, where we are helping people suffering the effects of armed conflict and other violence.